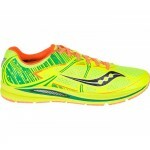 Men’s Saucony Fastwitch 7 running shoes. The Saucony Fastwitch is your speediest race day option if you’re looking for a sock-like fit, a touch of stability and ultimate traction on the road. These latest Saucony Fastwitch running shoes are the first shoes in the Saucony line to use their brand new PowerTrac outsole rubber, which has three times the traction compared to normal rubber. 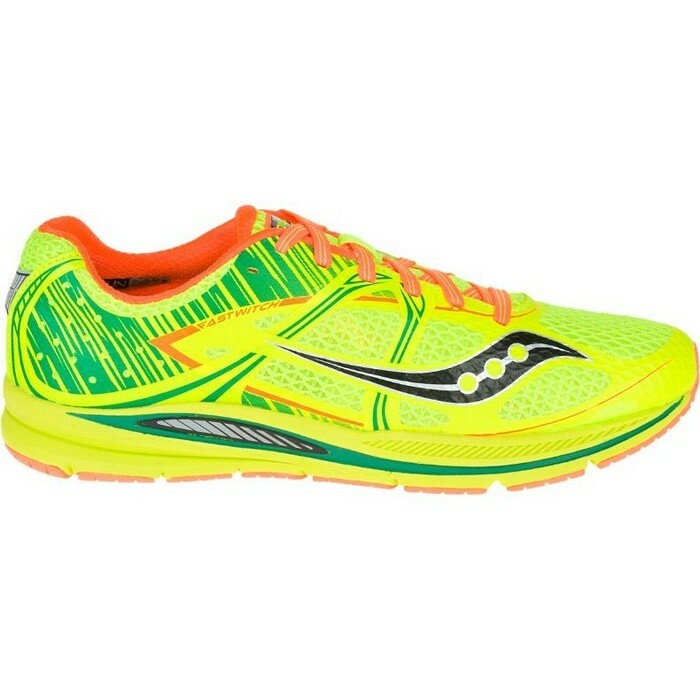 Combined with other great features including a lighter and more responsive SSL EVA midsole, the Saucony Fastwitch is the perfect race day shoe. 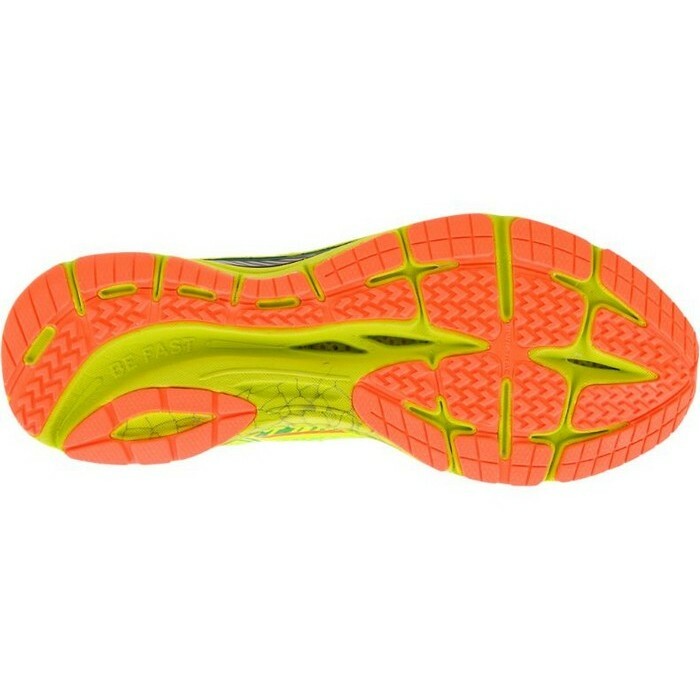 PowerTrac (PWRTRAC) outsole offers significantly more traction than traditional rubber for superior traction on the roads. 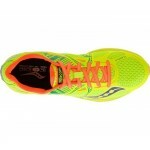 Flexfilm upper creates a lightweight, no sew upper that requires fewer layers yet still provides structure and support. SSL (Saucony Super Light) EVA maximizes cushioning and durability while minimizing weight. 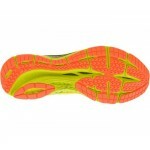 Dual density medial post in the midfoot works to correct any overpronation. Premium sockliner is breathable, moisture wicking, anti-odor and anti-microbial. Water drainage ports help to keep feet drier when running over wet surfaces. Weight: 198g (in a Men’s UK 8). 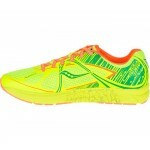 Colour: Citron / ViziPRO Orange.